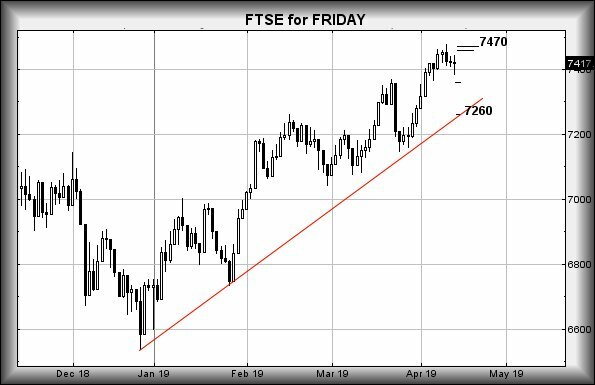 As the market is closed on Friday, due to everyone eating chocolate, we’ve opted to end the trading week with our usual look at FTSE near term potentials. April has proven less than impressive, doubtless due to politicians unable to roll away the stone blocking a sane conclusion to the reality of Brexit. The immediate situation for the FTSE appears quite straightforward. Moves now exceeding 7480 should bring continued recovery to an initial 7511 points. If exceeded, our secondary calculation is at 7561, along with some stumbles. Tightest stop looks like 7444 points. 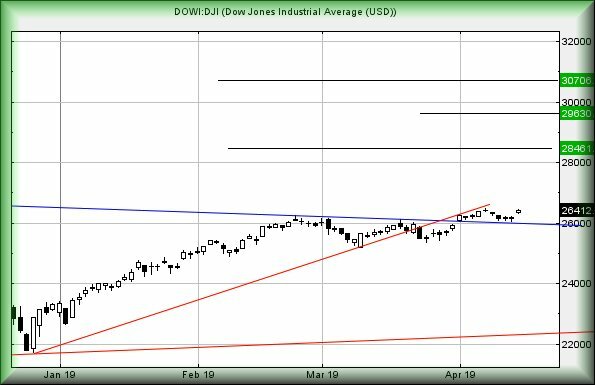 If trouble is coming – which actually looks possible for Thursday – reversal below 7444 points looks capable of travel down to an initial 7399 points. If broken, our secondary calculation is at 7352 points. It’s fairly important to remember the uptrend for 2019 is presently lurking at 7328 points with weakness below such a level looking capable of a sharp 80 point fall to around 7245 points! For light relief, or more probably because it’s important, we’ve given a couple of insets on the chart. These insets show what’s happened since it became clear Brexit was being delayed. The UK market has reacted very, very, carefully, with a lack of flamboyance seen on other markets in Europe and the USA. The respect being paid to the ruling BLUE downtrend is fairly important as it implies weakness now below BLUE is liable to provoke sharp reversals. Essentially, this is our doctrine of “If it ain’t goin’ up, it’s goin’ down” in action. 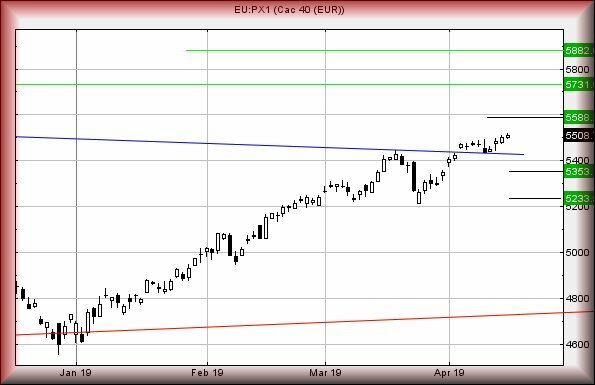 Despite our speculative trading scenario above, the BLUE line advocates extreme caution if the index slides below – presently 7417 points. Have a good Easter. We’re trying to figure out how to amuse grandchildren with a new tradition; setting fire to Easter eggs and rolling them down a hill. What could go wrong? A ready joke springs to mind. If the renovation company do have insurance, will any unexplained claim be rejected as “An Act of God”? 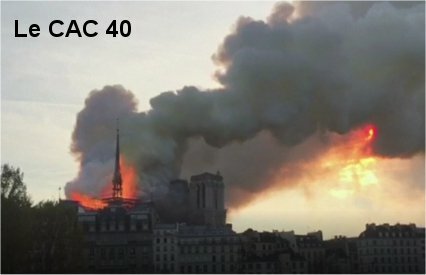 And wasn’t the organist quick off the mark, realising his piano was now a pile of soggy embers and scarpers to Germany, just to get a shot of someone else’ keyboard! Anyone who’s listened to BBC Radio2 “Organist Entertains” will understand a justified loathing for such an instrument. However, the German market is becoming interesting, visually appearing relieved Brexit has been delayed. The situation now is of movement above 12,120 indicating coming recovery to an initial 12,293 points. If bettered, secondary is a longer term 12,486 points. At this point, we’ll probably commence drooling slightly as the index becomes capable of a third target level. It’s the third target of 12,677 which is noteworthy, taking the market within sight of an important trigger level. 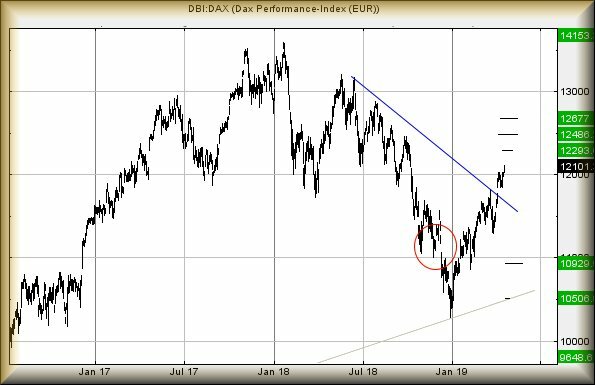 In the event the DAX closes a session above 12,775 points, from our perspective it triggers a longer term rising cycle to 14,153 points. This is perhaps something worthy of consideration for the future. For the index to get into trouble, it needs below 11,574 points. Weakness such as this will suggest some travel down to an initial 10,929 points with secondary, if broken, at 10,506 points. 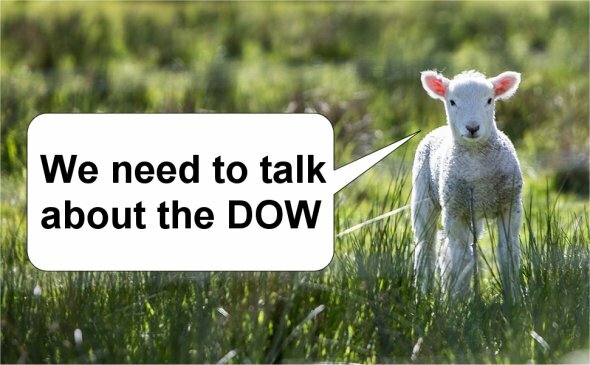 The Dow Jones #Brent #SP500 Grandchildren visiting for the Easter holidays required a good practical joke was invented. We’re based in countryside, it seemed reasonable to let the city kids know they’d be joining local children of the same age, watching lambs and cleaning up lamb poo, keeping the fields tidy. Both girls rebelled at the prospect until informed they’d be paid by the bucketful. Monday is going to prove interesting, thanks to a local farmer with a sense of humour. This, rather neatly, brings us to the DOW JONES and the potential of selling readers a bucket of poo. There’s now a real “problem” with this index as the unlikely number of 30,706 popped up as a viable long term potential. Additionally, there’s an initial target with some hesitation expected at 28,461 points. We’re somewhat sceptical as the calculations are giving a series of new all time highs for the USA index. The final trigger shall come when (or if) the index trades above 26,753 points. Early warning shall be closure above 26,430 points. The day high on Friday was at 26,436 points and it closed at 26,412 points. We’d some pause for thought when considering the USA. The Nasdaq is sitting in a region with the potential of a further 1,000 point growth whereas the S&P only presently looks capable of stumbling in just an additional 50 points at 2,957 points. Aside from the FTSE, similar positive index movements appear to be taking place across Europe. 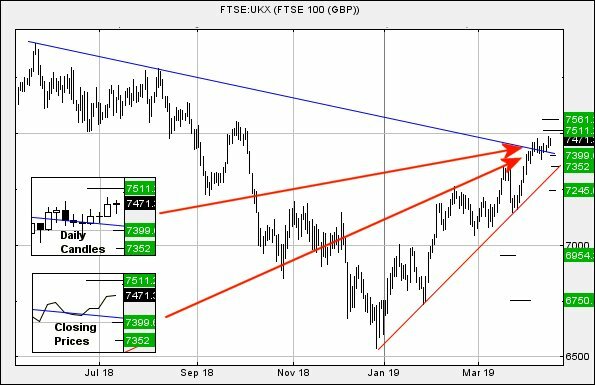 With ample excuse, the FTSE is proving shambolic but we suspect, the recent hesitation on Brexit, shall allow the UK marketplace to come close to challenging prior highs before a future excuse for reversals. This results in the potential of 7750 making itself known at some point. The UK needs drop below 7250 to spoil such a potential. 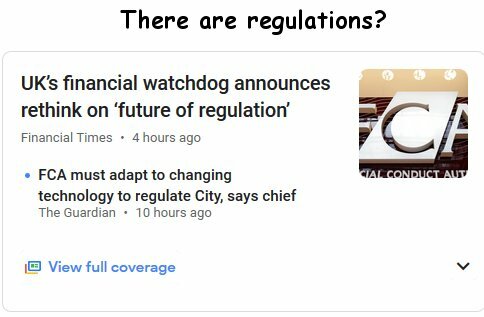 ASOS #Brent #Nasdaq Like most folk with interest in the markets, we glance at Google News to catch any important business headlines. The screenshot below, highlighting a BBC news story panicked us, due to ASOS being “one we cover” and a share we’d been expecting to rise! A quick glance at what was really happening revealed ASOS had grown by 14%, a motion quite at odds with the headline news. It did make us wonder how many folk bailed positions or dumped shares, thanks to a media intent on the dramatic, when indulging a quick review of a 7am RNS from ASOS. To be blunt, we suspect the BBC did absolutely zero journalism, instead doubtless relying on a press release via a 3rd party (a brokerage?) to give a sense of looming disaster. Even a glance at the RNS wording would have given the media some pause for thought. Folks who dumped shares were doubtless feeling mildly irritated by 10am as the share price peaked for the day. Unfortunately, the story gets worse – or better. 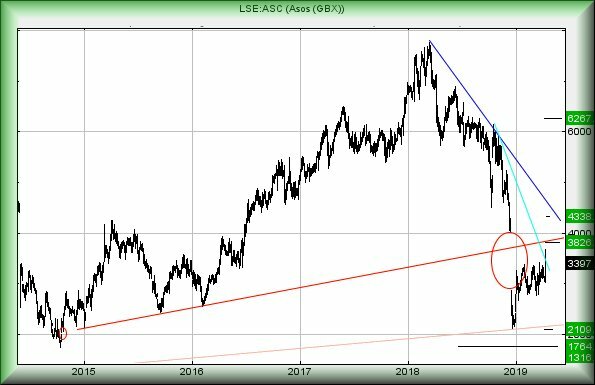 The immediate situation is mildly encouraging, the price of ASOS now having closed above the glass ceiling which formed following their “profit warning” in December. Generally, this is a good thing, moving the share price into a scenario where we can calculate moves now above 3673 should bring further growth to a modest 3826p. If exceeded, our secondary for the longer term comes in at 4338p, rather neatly covering the circled gap and suggesting the drop was doubtless overcooked. Despite being able to calculate a rosy future beyond 4338p, we shall need stir the tea leaves again should such a number appear in the future. Of course, this is the stock market and always capable of a good giggle at the investors expense. In the case of ASOS, the share price presently requires to slink below 2790p to signal incoming danger with reversal to 2100p initially probable.